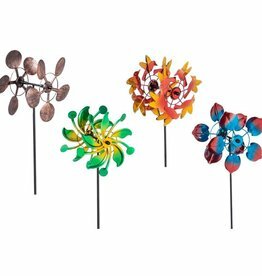 Line the garden or walkway with these fun mini spinners. 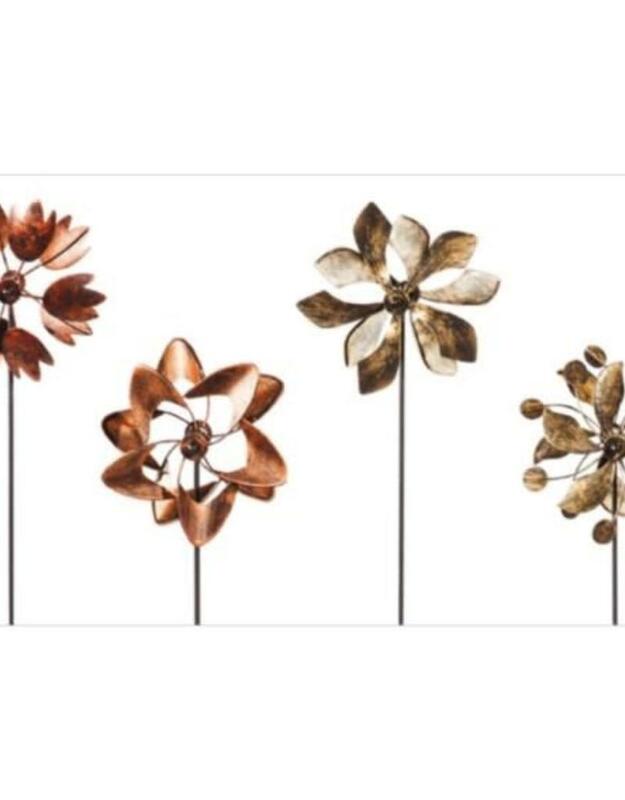 Comes in four different designs, each with a brushed metallic finish. 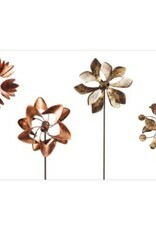 Made of metal.